'switch' boosts natural cancer-killing cells in the body. 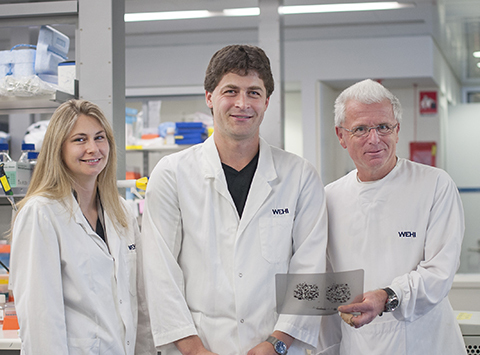 Walter and Eliza Hall Institute researchers have discovered the mechanism that drives specialised immune cells that detect and kill cancer cells in the body, offering scientists a new way to develop potential drug targets and cancer treatments. The immune cells, called natural killer cells, hunt and destroy foreign cells in the body, including cancer cells that spread and form tumours. A team led by Dr Nick Huntington, from the institute’s Molecular Immunology division, has found for the first time how the ‘switch’ that turns on these natural killer cells works. The team found that the switch, a protein called ID2, works by allowing natural killer cells to become responsive to growth factors in the blood. Dr Huntington said a growth factor called IL-15 keeps natural killer cells active and alive – if it is taken away these cells die. “This is an exciting discovery because previous research has shown that these natural killer cells are really potent in killing tumours: breast and colon cancer and melanoma cells,” Dr Huntington said. Dr Huntington said the research allowed scientists to think of new strategies to regulate the activity of natural killer cells by targeting the switch and could lead to new treatments. “If we can give an advantage to natural killer cells by boosting their activity or numbers or survival in the body then we can try to win that fight against cancer,” he said. Cancer is one of the leading causes of death and illness in Australia. Natural killer cells, a type of white blood cell prevalent in the body, deliver lethal toxic granules into cells that have become cancerous or infected, causing them to explode. Dr Huntington said the switch that controls them could also be manipulated to fight viral infections or to help patients whose immune systems have not developed properly because their bodies lack natural killer cells. “We’ve basically identified how natural killer cells are born and how they’re maintained in our body,” Dr Huntington said. “Now we know how to best keep them fit and healthy to keep us healthy,” he said. Dr Huntington said the findings, made with Dr Sebastian Carotta and Professor Gabrielle Belz and published in the January edition of the leading Immunology journal Immunity, marked the first time scientists could overcome immune deficiencies in cells that are missing the switch by 'tricking' the cells into becoming natural killer cells using growth factor. 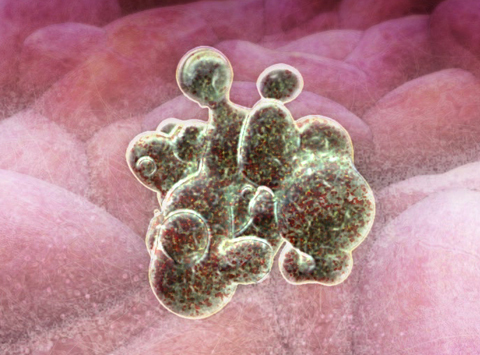 Conversely, the natural killer cell switch could potentially be turned off in instances in which these cells proved damaging, such as when they prompt the rejection of donor stem cells in bone marrow transplants or produce signals that result in the potentially fatal toxic shock syndrome. The current research was funded by the Australian National Health and Medical Research Council, The Menzies Foundation and the Victorian Government Operational Infrastructure Support Scheme. Our researchers have discovered a promising strategy for treating cancers that are caused by one of the most common cancer-causing changes in cells.